It looks like Dirty Dancing is getting a small screen adaption of sorts. This morning, Lionsgate TV and ABC announced they will be producing a TV version of Dirty Dancing that will head to the small screen as a “filmed performance.” So, it’ll be similar to The Wiz Live! or The Sound of Music Live! only minus the live aspect, which does ruin the effect a little. This morning, ABC stated that Dirty Dancing will be moving forward at the network and the company has already signed on a young actress to play Baby, the famous role originated by Jennifer Grey back in 1987. 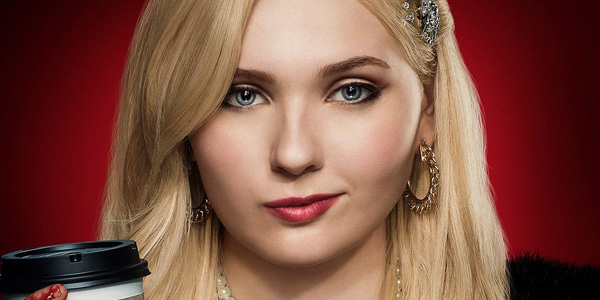 Coming up, Baby will be played by none other than Abigail Breslin. So far, we don’t know a ton about the Dirty Dancing project beyond the lead and the fact that the plot is very similar to the film of the same name, which follows a young woman named Baby who goes on vacation with her family but ends up spending most of her time falling in love with her dance instructor. A release from ABC indicates that Dirty Dancing will be a three-hour event, produced by Allison Shearmur and Eleanor Bergstein. If both of those names sound familiar, it’s because both women are well known in the movies world. Shearmur has been an executive producer on the last three Hunger Games movies. Bergstein, on the other hand, is most famous for originally writing Dirty Dancing way back in the eighties. Adam Anders and Judy Cairo will also produce. Along with the producing team, Jessica Sharzer just rewrote Dirty Dancing to get it to work for a song and dance-oriented TV special. Hamilton and Annie choreographer Andy Blankenbuehler will be putting together the choreography for the special and Gosford Park’s Stephen Altman will be in charge of production design. Wayne Blair will direct the ABC and Lionsgate venture. ABC’s big announcement comes on the heels of NBC’s success with The Wiz Live! last week, and the company certainly seems to be taking advantage of musical productions of this ilk to also make some money. ABC isn’t the only network to be taking a cue from NBC. Quite a while ago, Fox announced it will be airing Grease Live!, a live TV musical adaptation that also has an a-list cast, including Vanessa Hudgens, Julianne Hough and many, many more involved. That adaptation is set to air this winter, on January 31. Breslin has mostly had a career on the big screen in projects from Little Miss Sunshine to Ender’s Game, but this season she transitioned to TV, signing on with Scream Queens. There’s no timeline for when Dirty Dancing will officially get off the ground, but the project seems to have a pretty firm foundation at this point. We’ll keep you updated as ABC continues to add new members to the Dirty Dancing cast. In the meantime, let’s all discuss which dreamy actor could possibly take on the iconic role of Johnny Castle, perfected by Patrick Swayze all those years ago.